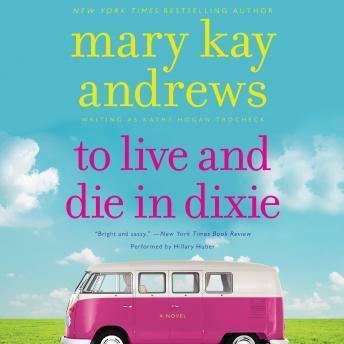 Mary Kay Andrews brings back cleaning lady and sleuth Callahan Garrity in the whodunit To Live and Die in Dixie. Former Atlanta police officer Callahan is known for scrubbing all kinds of muck, but she has no idea what she’s getting herself into when she is hired by Elliott Littlefield, a notorious Atlanta antiques dealer. Right from the start, Callahan’s job turns into a lively quest to find a priceless Civil War diary penned by an infamous madam. Soon Callahan and her team become entangled with a motley group of Civil War collectors, right-wing extremists, and nosy teens, making the case messier and tougher to clean. The witty Callahan Garrity mysteries by Mary Kay Andrews always entertains and delight.